Splendid cloak and dagger movie! Those who like the genre should not miss the (rare) occasion to see this movie. It is a splendid cloak and dagger story, full of adventures, fights and love. Of course, somewhat incredible at times. 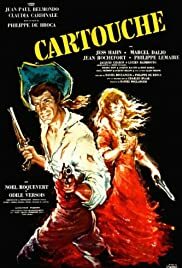 Unforgettable is the scene in which the bandit Cartouche (Jean-Paul Belmondo) with the corpse of Venus (Claudia Cardinale) in his arms demands jewels in ransom from French nobles, in order to have a treasure to be buried with his beloved Venus, who has been killed in a fight.